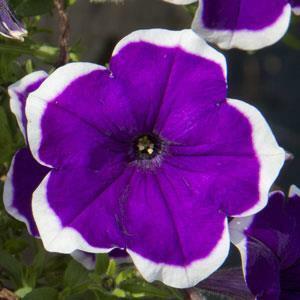 This flower reminds us a lot of our favorite "Rim Magenta" petunia. Violet, star shaped flowers are accented by a crisp white edge for an elegant look. This series of petunia is making headlines with early flowering, fast finishing and large blooms that result in eye catching baskets and containers.